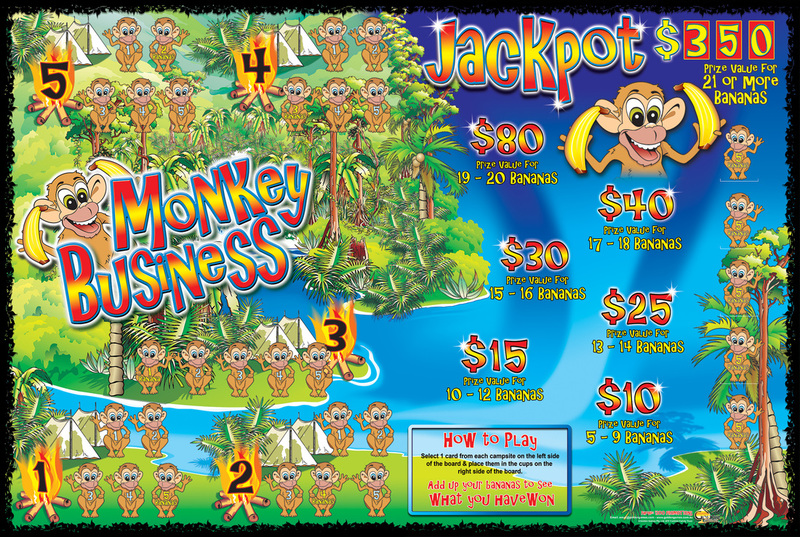 ﻿MONKEY BUSINESS will make your profits soar as your patrons 'go bananas' for a chance to play this fun and crazy Promotion. This Game Show was designed as a Poker Machine Promotion Only! You can use your Ticket Spitter or hand out numbered tickets for a nominated payout on the pokies.